As a digital publisher and platform provider, we truly appreciate your visiting, your feedback and thank you for engaging! Unfortunately, we also get an unbelieveable amount of comments on our blogs that are unsolicited advertisements for every imaginable product or service (blog-spam). In an attempt to moderate and offer a more engaging communications platform with our followers, we have eliminated comments on each individual post and now offer our audience a single feedback forum here from which we may more effectively, collect, monitor and reply to comments from readers like you. If you have a comment, you may leave it below. Please note, all comments are reviewed for spam and irrelevant content. Following a soft-launch in November, 2013 we are moving ahead full speed to bring you the latest curated news, community and solutions for the greater good of people and planet. Conscious commerce marketplace to register, pool, place and showcase products, services and capital solutions from around the world that create global impact. Impact Showcase – Entrepreneurs who are heart-driven will be inspired by how our first case study and impact-marketplace affiliate, TOM’S is making a sustainable profit and large-scale difference in the world through conscious commerce. Professional Training Programs for the Impact Entrepreneur – Are you ready to be part of the change you want to see? Anyone interested in learning more about Impact Entrepreneurship will also benefit form the online educational and mentoring programs offered. 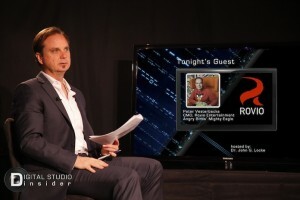 New Global-Teleseminar Series Explores the Art and Business of Digital Media and Entertainment. 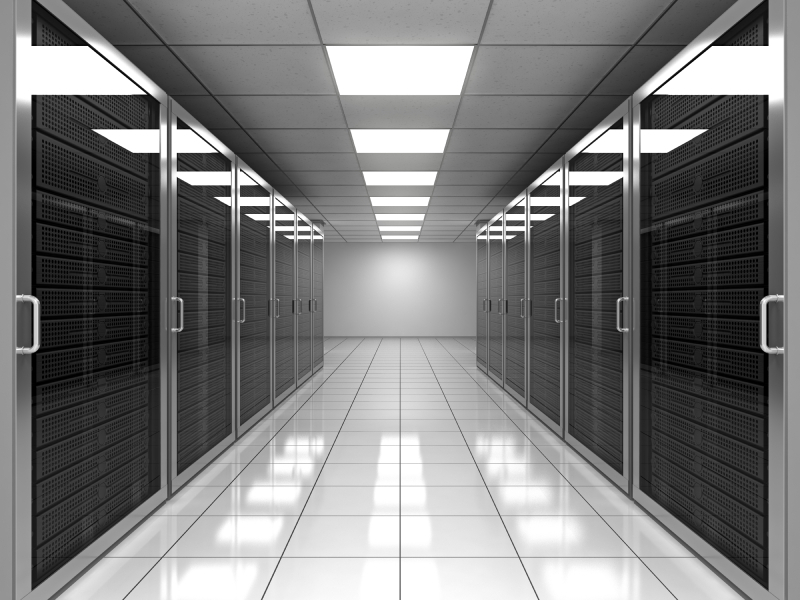 Connects Emerging Talent with Today’s Industry Leaders. 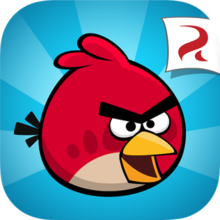 December 11, 2013 celebrates the 4th Birthday of “Angry Birds”, the #1 mobile application of all time. In just 4 years, the once mobile-only game has grown up to become one of the world’s most recognizable brands, gathering a global fan base and generating more than 2 billion downloads. The Angry Birds experience is now available on nearly every imaginable device including iOS, Android, Symbian, Windows Phone and BlackBerry 10 operating systems, personal computers, gaming consoles, smart TVs and the web. In a transcontinental interview conducted with Digital Studio Insider, a new original series exploring the art and business of digital media and entertainment, Vesterbacka shared how Rovio Entertainment plans to celebrate the occasion with new updates and the launch of Angry Birds GO! (a new racing game for iOS). 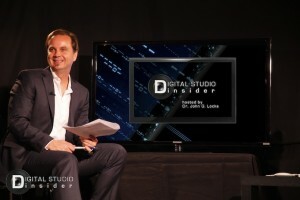 Digital Studio Insider, a pioneering global teleseminar series and transmedia production created by Executive Producer and Host, Dr. John G. Locke explored with Vesterbacka for over an hour, the journey Rovio Entertainment has undertaken to make Angry Birds one of the most visible, accessible and recognized media and entertainment franchises the world has ever seen. 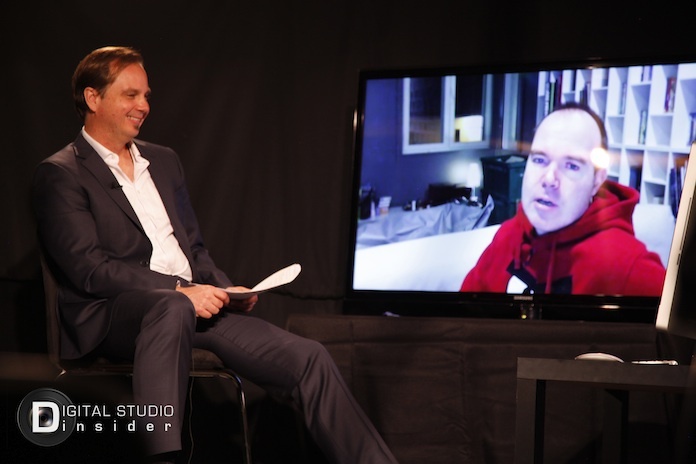 Local students and participants from around the world were given the advance opportunity to submit questions for Vesterbacka, and the interview was simulcast to a select global audience. Digital Studio Insider is an Original Series from Executive Producer and Host, Dr. John G. Locke, in association with The Mystic Media Group. The interview was the first in a series of syndicated craft-interviews to be conducted between Dr. Locke and visionary leaders in the field. The program, designed to connect tomorrow’s emerging talent with today’s industry leaders, is currently being shopped for distribution with limited on-demand delivery being planned. Production support for this event was provided in part by International Technological University, Videografix and Unity Home Theater Systems. December 9, 2013 marks the season premeier of Digital Studio Insider, a unique global-teleseminar series created, hosted and produced by Dr. John G. Locke, founder of The Mystic Media Group and Chief Creative Officer at The Digital 360 Agency, from the heart of Silicon Valley. Dr. Locke will Interview Angry Birds’ “Mighty Eagle” Peter Vesterbacka, CMO of Rovio Entertainment, creators of the Angry Birds games and media franchise. This pioneering global teleseminar series will be conducted from a virtual-set, live in front of a studio audience in Silicon Valley, California. Registrants from around the world will be given the opportunity to have their questions answered directly by Peter. Angry Birds, the mobile game and media distribution platform created by Rovio Entertainment, is currently being used as a case study in Dr. Locke’s graduate course in Digital Media Distribution where he currently lectures as a Consulting Graduate Professor of Digital Arts, Marketing and Entrepreneurship at International Technological University. Peter drives the company’s marketing and brand strategy, taking Angry Birds to new and unexpected places. About Rovio Entertainment: Rovio Entertainment, founded in 2003, is an industry-changing entertainment media company and creator of the globally successful Angry Birds franchise. Angry Birds, a casual puzzle game, became an international phenomenon within a few months of its release and is now the number one paid app of all time. Rovio has launched nine blockbuster games so far for different platforms: Angry Birds, Angry Birds Seasons, Angry Birds Rio, Angry Birds Space, Angry Birds Friends, Amazing Alex, Bad Piggies, Angry Birds Star Wars and Angry Birds Star Wars II. Following this success in mobile gaming, Angry Birds has expanded rapidly in entertainment, publishing, and licensing to become a beloved international brand. Rovio has grown alongside Angry Birds, and the multifaceted entertainment house currently employs more than 700 professionals in its headquarters in Espoo, Finland, and offices in Tampere, the United States, China, Sweden, Japan and the U.K.
John is the creator, producer and host of Digital Studio Insider, a Mystic Media Group transmedia production and pioneering global-teleseminar series focusing on innovation in digital entertainment and emerging media. Dr. Locke brings over 30 years of experience and insights to the program as a former Digital Media Scientist for Walt Disney Imagineering, Post Production/VFX Supervisor for Pixar, Serial Entrepreneur and Graduate Professor of Digital Media, Marketing and Entrepreneurship. The Mystic Media Group is a privately held Blue-Business Incubator, International Accelerator and Transmedia Publisher located in Silicon Valley, California. Conceived and founded by Dr. Locke, the group has helped create and bring to market several businesses in a variety of sectors. The companies we choose to work with all share one common theme – leveraging capitalism, innovation and a Blue Business Model to make a profit; and, make a difference.